We are expecting puppies mid-March! Reba was bred to Pepper. The pedigree can be viewed here. For people who are interested only in puppies as companions: I have people on my list for puppies already but if you're interested please email me and we can talk. Parents have their health screenings done and passed. Both are DM and PRA clear. Both are structurally sound. This is a first breeding for both of them. I own both of them so visitors can meet them and see how they're raised. For people who are curious why this breeding: Reba has a beautiful forehand assembly, parallel pasterns with virtually no turnout, and flies when she moves, clean in all directions. 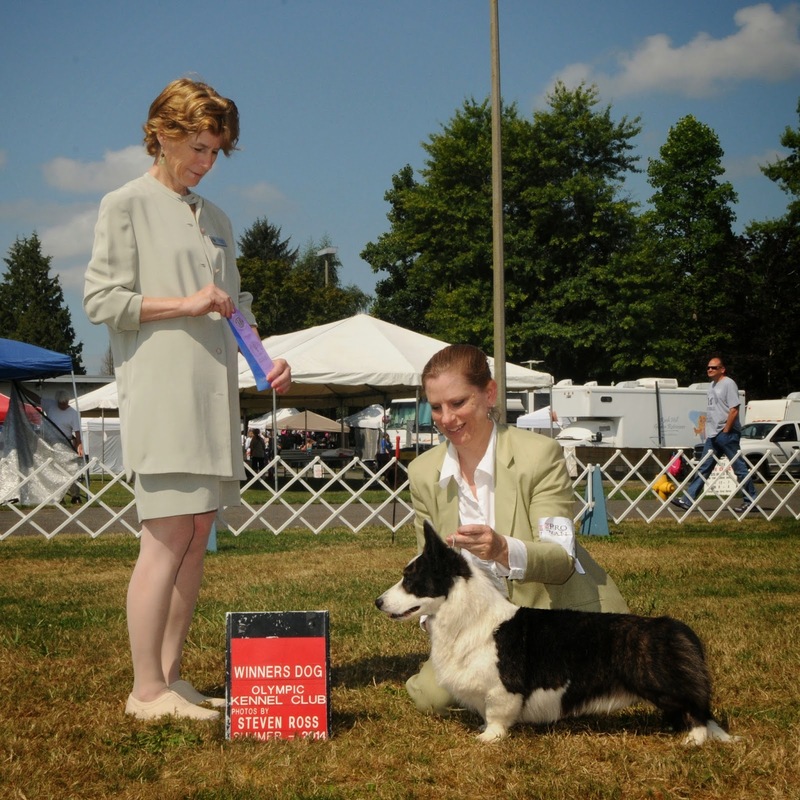 I've had mentors disagree but I don't think she is competitive in the show ring. She's a little "high on leg" and lacks coat and bone. That shoulder is hard to get and keep in one's lines, however, so I have kept her in my breeding program. Her sire, Lincoln, and her grandsire, Carbon, have that bone so it's in her pedigree. Pepper has lovely bone, sweepy outline and proper height-to-length proportion. He also has beautiful movement but he lacks the shoulder layback that Reba brings to the breeding. He also has a typey head and lovely coat. The only things I would change about him are his shoulder and he has a bit too much turnout. So they complement each other well. Fingers crossed for healthy whelping and babies. Hi! I couldn't find your email listed here anywhere, I'd love to talk about puppies, congrats on them! I'm sure a lot are reserved but I thought I might have a chance since it was a large litter. These pups were born on my Corgis birthdate, and Im looking for a girl Cardi. Please let me know if you might have one who's not taken. 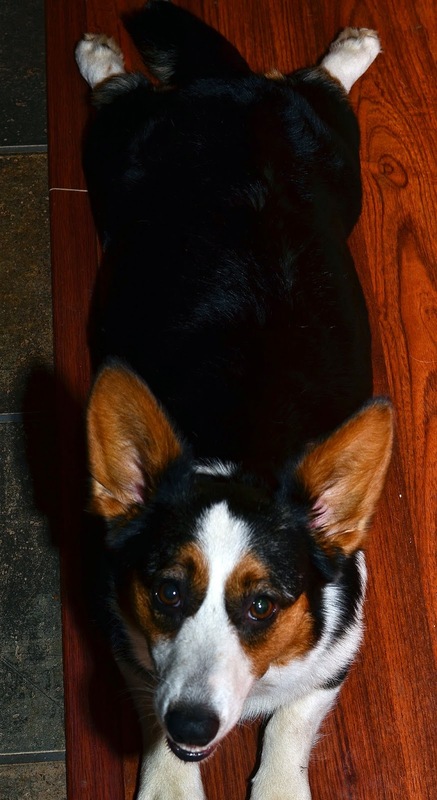 Hi, I have been looking for a corgi. I own 2 older Pembrokes who are both 12. I could not find another way to contact you online. If you have any available I would love to see if my family meets your qualifications. My email is jmlengr@hotmail.com. My name is Shawna. Or my phone number is 360 874 7572. Hope all is well with your dogs and puppies. Thanks. What a lovely, glossy coat. 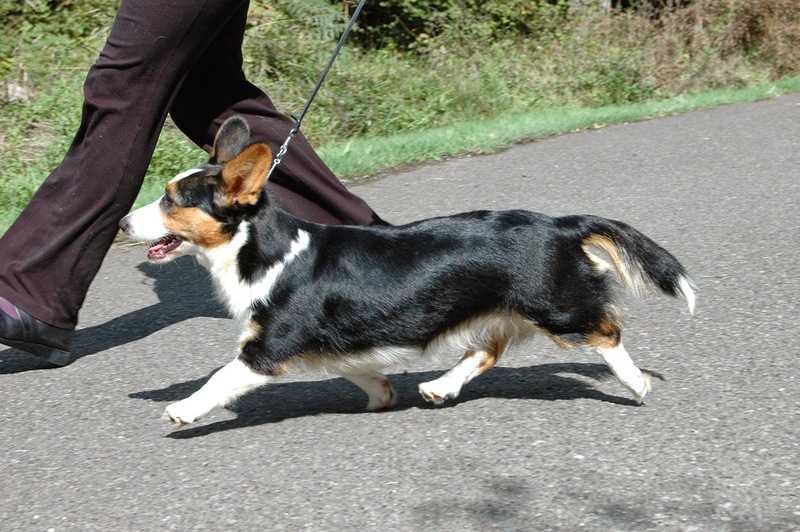 I had no idea that there were subtypes of corgis. Toreth means "abundance" in Welsh. While being involved with Cardigans may not pay my bills they certainly provide plenty of joy in my life. Who couldn't use more of that!